Our cards are ink printed onto quality 330gsm white or ivory card. The text on the front is then printed using a traditional 25 year old hot foil printing press in your choice of 4 fonts and various colours. 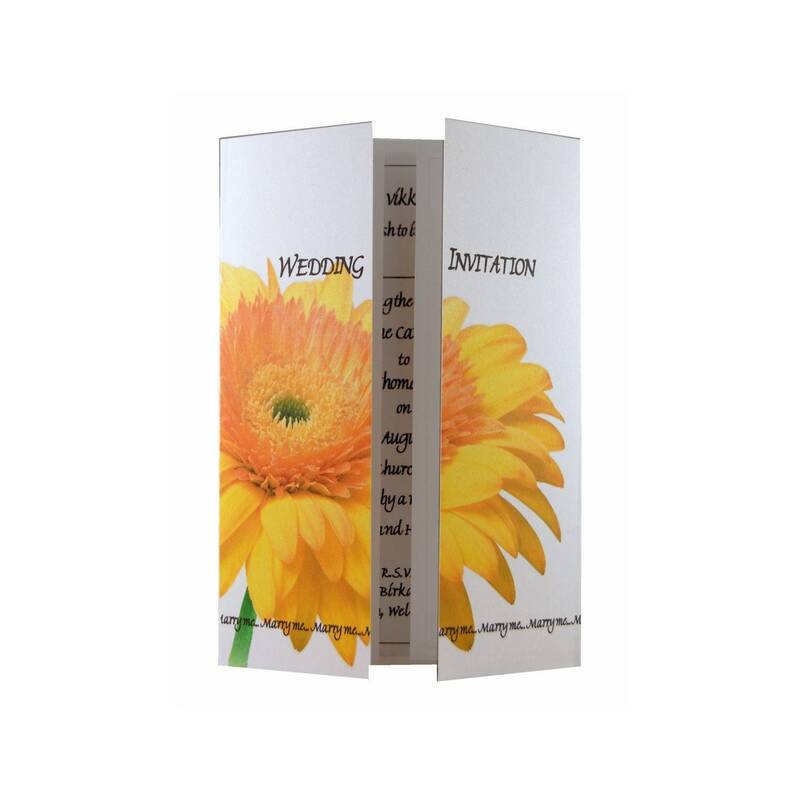 Our inserts are fully personalised with your details for your day and can be left for you to assemble yourself or if you prefer we can do this for you for a small cost. 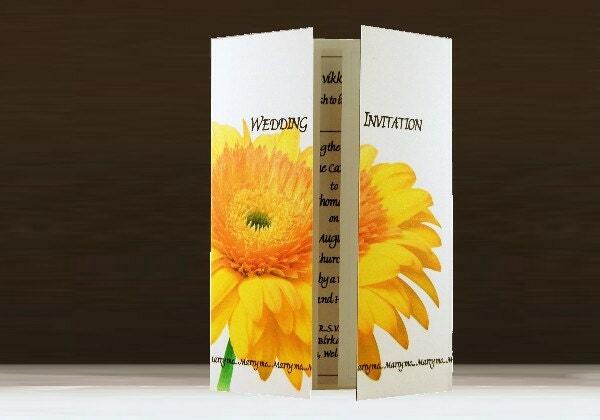 We also provide FREE envelopes that we have made especially for us using 130gsm paper. 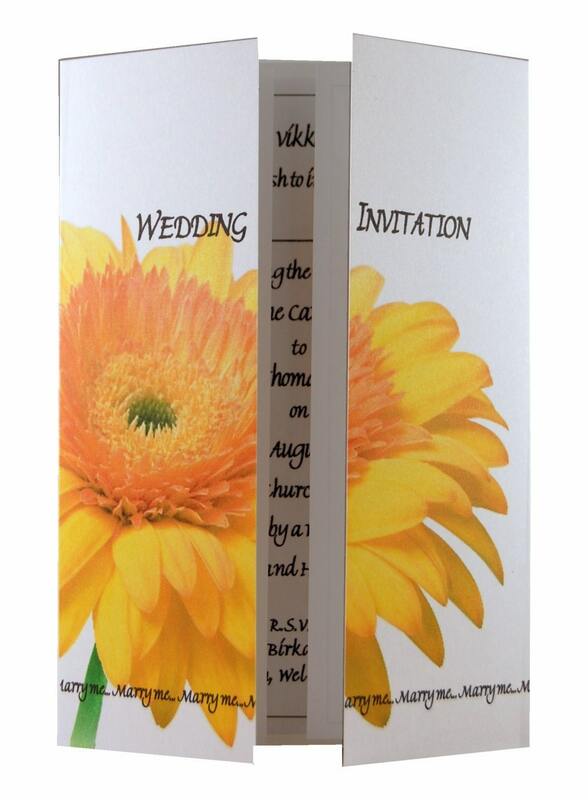 Minimum custom order amount of 20 invitations.